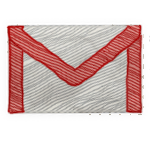 Google has released the newest version of GMail for Android 2.2+. Yes, there are still some lost souls on this planet that never got an update of GMail. Speculations are about the name which, in some countries, might not be used due to trademark infringements. Update: I removed the link to droidforums. I tried their .apk and it causes a force close on the Galaxy Tab, which result in an endless loop if it starts syncing. So be careful it's risky :).